Can you feel it? Can you smell it... hear it.... TASTE IT?!? 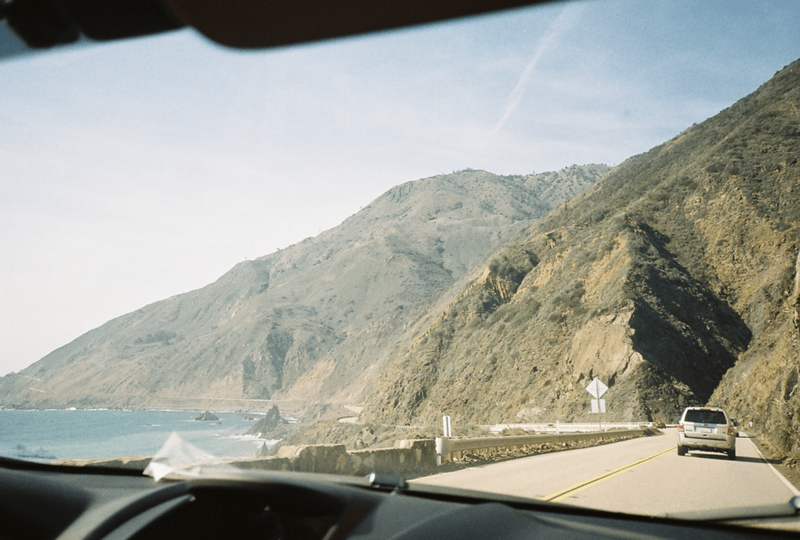 Yup, that would be summer just around the corner. And while I'm not tryna rush spring (can we talk about this perf weather y'all?) it doesn't mean we can't start to plan ahead for the long, sweltering, FL summer days to come. Lately we've been pretty into the idea of dousing our favorite smoothies and milkshakes with, to be clear, liquor. So when goji berries AND frozen cherries were on sale last week, it was kinda like how can we take these perfectly sweet and tart fruits and slushify them with booze? Easy. The real wowzer in this recipe is the goji berry soaked vodka. Easy to do, doesn't take long (but of course when infusing liquids the longer the better), plus the berries really rub their flavor off on the otherwise flavorless vodka. And at this point in the game jus tryna get tips probably outweighs being nutritionally proactive, but FYI goji berries are really good for you too. Classic flavor combo with a twist *literally* and yr warm weather martini game just went through the roof. 1. 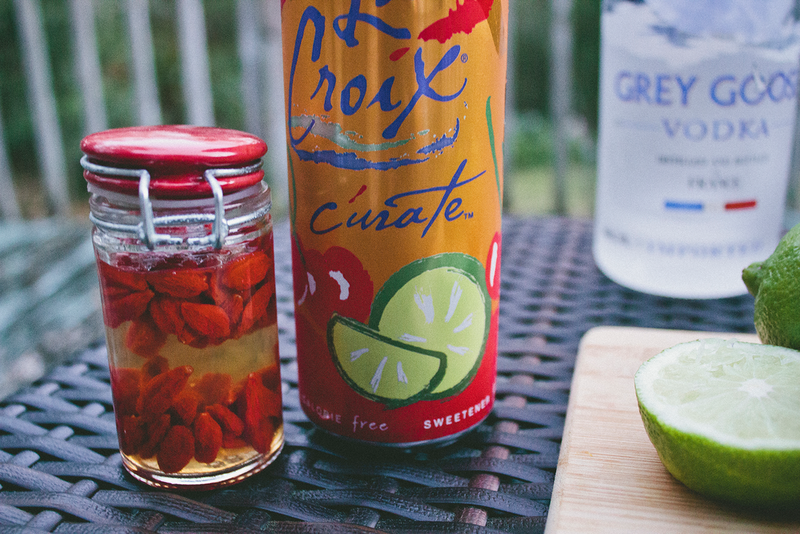 Soak your goji berries in your vodka overnight, or longer. Use a jar with an airtight lid. And ratio of goji to vodka is to yr liking. 2. When ready to make the cocktail, add your cherries, ice, and juice from three limes into a blender. Run blender on low speed. 5. Garnish with a lime wedge and fresh gojis sprinkled atop!